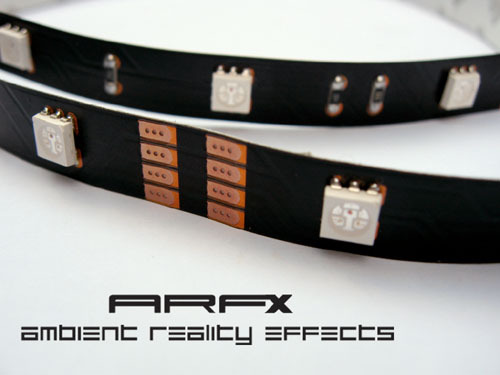 The ARFX Start Modules can work with several LED systems, to be placed behind your monitor or television. Depending on where you attach the strips and the size of your screen, the strips creates an even projection on the background. In case you have a larger monitor – or to create an even more impressive projection surface – you can extend the package with several strips. The life cycle of the custom strips used by SmartBytes is approximately 30.000 hours; which means that with average usage, the LED’s on the light strip provide optimal quality in lighting for a period of ten years, even with continuous operation of eight hours a day! The combined light from these quality LED’s comes to life in the most pure, intense and real life projection possible, and with no false color leaks. The powerful light output and the vivid colors simply make the walls sparkle. - ARFX software license, additional ARFX software widgets and free SDK. The Ambient Reality FX starter module is expandable with several LED systems or ARFX hardware FX for different configuration options. 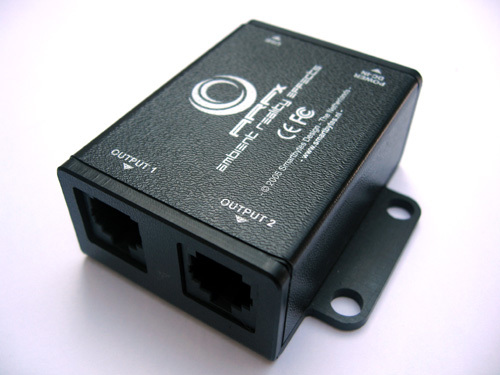 Choose the LED system which you desire at THIS page. For complete packages, visit this page.